Social media is not a new marketing tool. But many business owners are still in the learning phase; coming to grips with how it can enhance their business reputation and ultimately, their bottom line. As with any marketing effort, wasted time on social media means wasted opportunities for business growth. Here are some of the common mistakes being made on social media and what you can do to avoid your business wasting time. To be successful on social media you don’t need to be on Twitter, LinkedIn, Facebook, Snapchat, Pinterest and Instagram (to name just a few). This will potentially dilute your results and you could end up with a less than impressive online presence if you don’t have the ability to maintain and nurture your social media platforms. To combat this look at your target audience. Which platform do they spend their time on the most, what type of content are they engaging with? Armed with this information you can focus on the one or two particular platforms that your audience is using and importantly that you enjoy using. Facebook is usually beneficial to most businesses, particularly those selling products, LinkedIn is perfect for business to business and for vacancy postings or company research. Pinterest and Instagram are great for companies such as fashion, food and lifestyle as these are ideal for sharing visually compelling material. To give your social media marketing the best chance of success you need to engage with your audience. Just signing up for an account and hoping for the best won’t work. Time and money needs to be invested to grow your audience. Share content, blogs, info, stories and deals, start conversations by asking questions, and then get involved by responding to comments, shares, likes and tags. Social competitions are a great way to engage your audience, grow your brand and interact. Many business owners start off with tonnes of enthusiasm for the new world of social media, with no idea of what they want to achieve, then hit a stumbling block and quite often the platforms die.. When you have no direction, you can spend hours searching for inspiration, writing content, or simply browsing. Without a plan and clear goals in place you won’t see the effort and results for the time you’re spending. Make use of a content calendar, look at upcoming promotions your business may be running, think of the seasons, key dates, employee or company wins, and plan these into your content calendar. If you plan and even schedule your posts in advance, it will free up time at the other end to engage with your audience socially. All social media platforms come with statistics, plus you have Google Analytics and other platforms for measuring such as StatCounter, Tailwind and more (this blog post shares 19 stat tracking options). https://blog.bufferapp.com/social-media-analytics-tools Measuring how well your social media is working is really important as you can see where to put your efforts, who your audience is, when they are online, the type of content they like, and more. Measuring your results is using your time wisely. Social media is a powerful tool to have in your marketing strategy, it is important to seek advice when you think you need it so you don’t end up wasting your time. 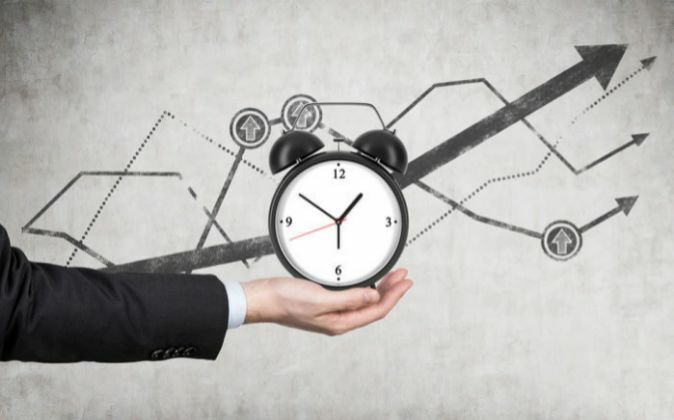 ​There’s an maxim that for a project to be successful, you should spend 80 percent of your time planning to make the 20 percent of ‘doing’ effective. But what happens when the planning is nearly 100 percent, and there is very little doing? 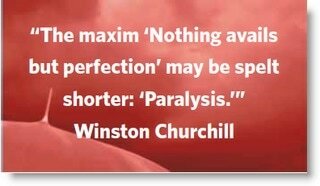 Working with new clients lately, and with existing clients on new projects, it’s apparent to me that too much planning can lead to paralysis by analysis. And nothing gets achieved. So how much planning is enough? And how much is too much? In the marketing communications space, our advice is to be strategic – know what your objectives are, how you are going to measure your success, have an idea of who you’re communicating with, plus an outline of how you think you’ll achieve those objectives. Next develop your plan of attack in small bites, with clear responsibility for who is doing what. Keep your planning document (singular if possible) concise and easy for all to follow. Then get started. In the words of Nike – Just Do It! Meet regularly to progress, and be flexible, if what you are doing isn’t getting the results, try something new but always in line with meeting your objectives. Your journey may not be without road bumps but at least you’re on the drive, and with some reflection, driving forwards. Sound straightforward? We think it should be. If you’d like help to get your marketing comms moving, get in touch. Remarketing can be a beneficial part of your digital marketing strategy as it gives you an opportunity to reconnect with someone that has visited your website (or used your mobile app) and not made a purchase or inquiry. It allows you to keep connected with people who have already seen you online, as they continue to browse the web. Whether you want to raise brand awareness or increase sales, a well thought out remarketing campaign, with excellent visual graphics, shown to your visitors over days, weeks or months can be very effective. Plus you are able to track your results. Remarketing occurs when a cookie is placed on the person who has visited your websites computer or device - if they meet the criteria you have chosen, for example, an abandoned shopping cart. Quite simply, if someone is “cookied” your ads will follow them around the web with related offers, or information. You can control how often (impressions) an ad is shown to an individual daily, how long the cookie stays, and how long you run the remarketing campaign for. And people can choose to not be remarketed too also. Remarketing does cost. Ads are managed through Google Adwords and are shown on web pages (or mobile apps) visited by your target audience (Google Partners sites), eg. Stuff.co.nz, The Herald, Trade Me. You will have a monthly advertising budget, then there is usually a one-off set up fee and a monthly management fee. Reaching people on a variety of devices, across websites and mobile apps, after they have interacted with your website. Showing ads to previous visitors to your website who are actively searching on Google or Google Search Partner sites. Creating remarketing lists to achieve specific advertising goals, for example ‘abandoned shopping cart’, ‘not submitted inquiry form’, visited a specific service page, ‘already purchased’. Showing previous visitors ads that contain products or services they viewed on your website as they browse the web. Showing ads to people who used your mobile app or interacted with a video on your YouTube channel. The ability to upload your personal (or business) email list, so when these people are signed in to Google Search, YouTube or Gmail they will see your ads. Remarketing will show your product or service to people who are genuinely interested, and when executed correctly it can be a powerful tool to enhance your brand profile and / or increase sales. If you have questions, please get in touch. The 50th anniversary of the Wellington School of Journalism is coming up and as part of the celebration an online archive has been published with photos, reminiscences, and a copy of the School’s community newspaper for almost every year since 1966. 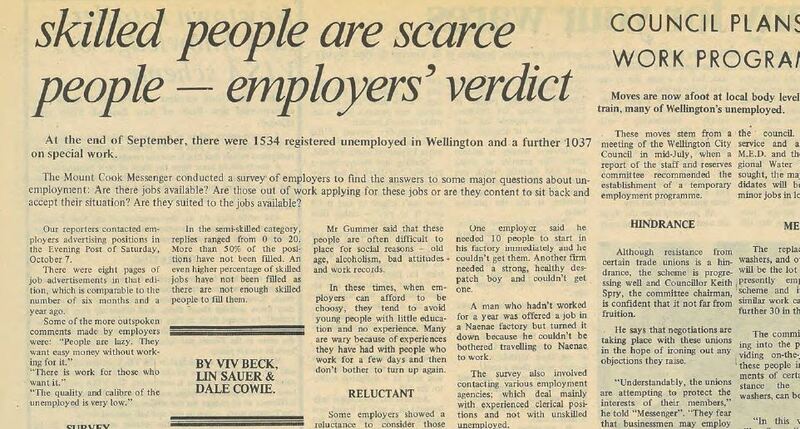 Curious I checked out the selected issue of my year and was surprised to find it featured my name as a byline (one of three authors) on an article about unemployment and skills shortage in Wellington. So many years on I have no recall of investigating, writing or setting that paper but I am sure as an 18 year old student, the thrill of seeing my name in print would have been real. A number of decades on, my professional pride rests, not in seeing my name in lights, but seeing those of our clients; their stories of success, their key messages communicated via the best mediums to reach their audiences. If a media release we’ve created is picked up and run verbatim or a journalist has had their interest piqued to investigate further and create their own story, then that’s the thrill. Likewise, if a story goes viral digitally (or at least gets strong interest) then we’ve done our job well. Looking back on that old newspaper and the contents, it’s interesting to reflect on what’s changed. Not surprisingly the language is less formal now; sentences run on more. There’s probably more creative license allowed in how information within a release is communicated, more personality and greater entertainment flair. What hasn’t changed though, is the need for structure (even if the reader doesn’t perceive it as so). An impactful introduction to grab the reader’s attention but that sets out the key information so if only this is read, the key message/s are gleaned. And with a view to be interesting enough to keep the reader, listener, viewer engrossed and wanting to stay engaged to learn more through an organised flow that leads logically from one point to the next. While there may be less punctuation these days, it’s still important that there’s sufficient for the audience to make sense of the story. And of course, it’s never ‘old school’ to have correct spelling! If you’ve got a story that you want to share via the media, give us a call. Our job is to get your name out there. With the majority of society using one platform or other on the internet, be it social media, email marketing lists, or searching on Google, taking your marketing to the internet is a good way to build brand awareness, create leads or boost traffic to your website. To enter and maintain awareness with this growing audience, you need to be online, and social media is a way to achieve this. 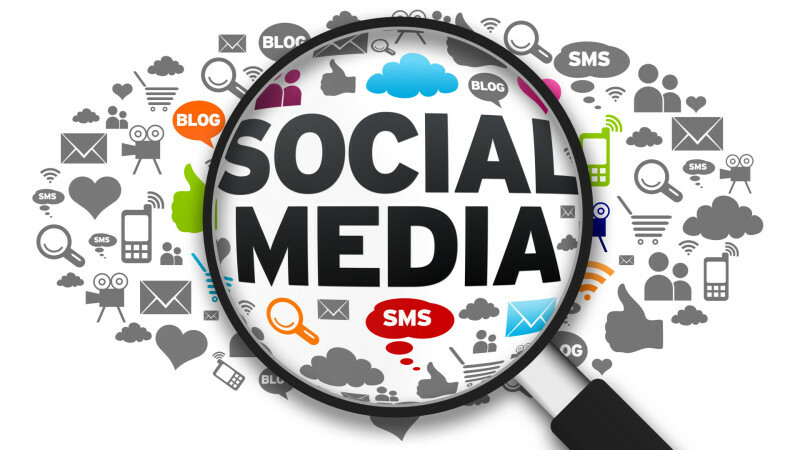 Here are five things to consider before you begin a social media marketing campaign. As with any form of marketing, the first step is to determine what you want to achieve. Do you need more people to visit a page on your website? Do you want to build a database by asking people to sign up for a free ebook? Do you want an increase in sales? Each campaign will potentially have a mix of objectives, some may be similar to others. It is important to write down what your goals are and give them a number, so you have something to measure against. If you are starting out with social media campaigns I would suggest using one platform. Learn this platform well, including how the analytics works, so you can understand how your campaigns are succeeding, or not. Tweak campaigns to increase your goals or objectives, to fine tune them and to leverage off successful campaigns. Prepare a timeline of your activities. Who is going to undertake tasks? When do the tasks need to be undertaken? When they are done? This is helpful for analysis after the campaign and can form a template for future campaigns. Graphics bring a social media campaign to life, video is a fantastic tool also. Create a series of ads, monitor how each performs and compare this so you can shift your tactic and adapt as required. Remember to use well thought out graphics and imagery, you are representing your brand and it is important to keep consistency and high quality to the fore. Who are you trying to reach and how does this fit with your goals? Consider that if you do not have a highly targeted audience your campaign may fall flat. Use your target audience to create content that will appeal, that is relevant, and that you can target your advertisement placement too. This list is only the beginning, it is a good foundation to begin your first social media campaign from. Remember, content is king and you need to create content that is relevant, valuable and on target to your audience, in order to meet your goals and objectives. If you would like help planning a social media campaign get in touch with us. I’ve been thinking lately about why some assignments go smoothly and provide satisfaction and success to all involved. And the conclusion, is that a clear and effective brief is a key factor. And more than that, a clear, effective brief that’s in writing. Why? Because it means that thought has been given to all the elements involved before the job is started, which means that everyone involved understands the ultimate objective of the piece of work, and the elements required to help meet that objective successfully. That in turn saves time, money and frustration. Sometimes though, it can seem like it’s too much effort, or the ‘job’ isn’t worth spending the time. And we can be as guilty as the next person, taking instructions on the fly and getting on with the ‘doing’. Oftentimes this works out but is the result as effective as it could have been if a more strategic approach was taken. You can always add more, and we can expand on this with you if you’re interested. And if you don’t give us a written brief, don’t be surprised if we capture what you say and supply it back to you in writing so you can be sure we’ve read your thoughts correctly! 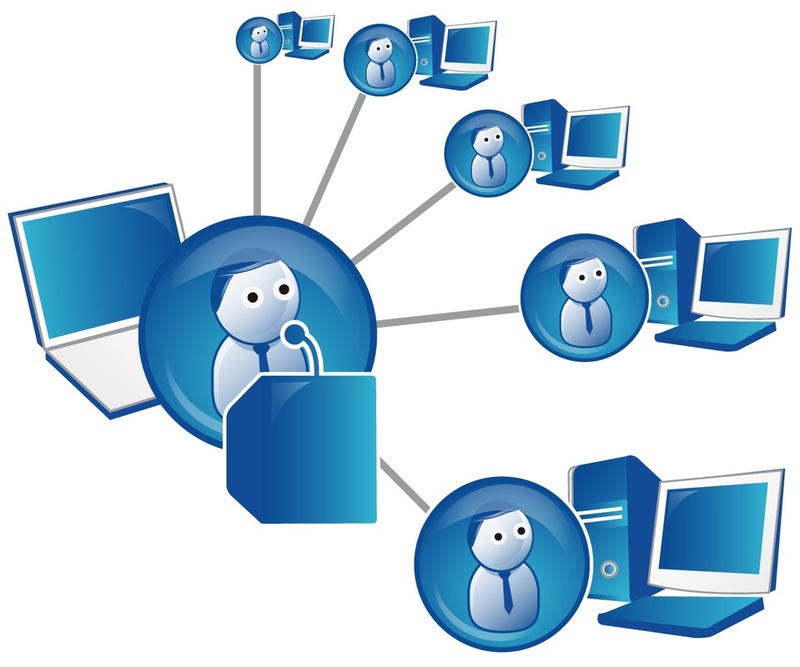 Hosting a webinar is an opportunity to share your expertise, build trust and authority with your target audience/s. You can also reach people easily that are not necessarily in the same town or city as you. ​Read more below on the benefits of hosting a webinar and grab some tips on where to start with one. Hashtags are important to the way we communicate online because social media platforms turn any word or group of words (without a space) that directly follow it into a searchable link. The magic then happens when searching, as simply a #hashtag helps to populate groups of content; if you click on a hashtag you can see all the content associated with that group of words #hashtag in real time. Hashtags originated on Twitter in 2007, and today are used by both brands and people alike, to gain more followers and potential customers. Not only on Twitter, #hashtags can be used on Facebook, Instagram, Pinterest, YouTube and other social platforms. They can be used to promote specific events or campaigns. You can search to see what people are talking about / interested in currently, and they provide an opportunity to join a conversation or engage with those having conversations about things relevant to your brand. Put hashtags at the end of your post or comment. The purpose of the @mention symbol on social media is to ‘call out’ directly to someone. They will get notified that you have mentioned them. This is beneficial for businesses for a number of reasons, it lets the person or company know straight away, it puts you or your brand in front of who you are mentioning, it can leave a positive impression, and it encourages reciprocation. The @ symbol had its origins (around 1970) as a connector in email addresses before being picked up by Twitter in 2006, Facebook in 2009, and LinkedIn in 2013. It is now across the majority of large social media platforms such as Instagram, Google+ and Pinterest. You may have noticed that Facebook is rolling out your company page name in the profile banner area with the @mention at the moment - see below. As you start typing in your status update @Kite, a drop down list will then appear and you can select your connection or company from the list that pops up. Keep typing the remainder of your update. The mentioned company or person will receive a notification letting them know they have been mentioned. If you need help understanding how @mention or #hashtags work let us know, they can be tricky to get your head around when first starting to use. We can also help with your online branding for social media platforms. Your news feed is the long list of stories that continually updates itself based on what your friends are doing, the pages you like and the groups that you follow on Facebook. It will include status updates, photos, videos, links, app activity, comments and likes. 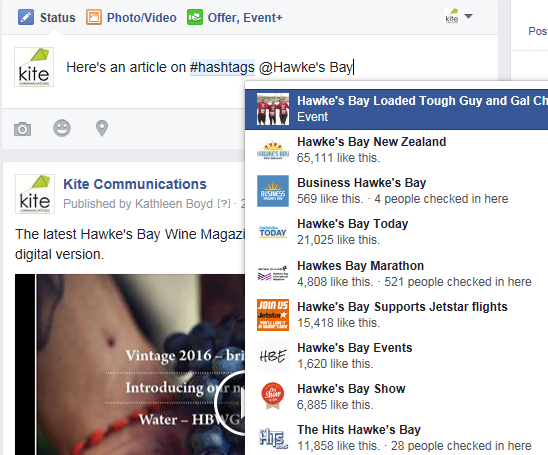 Top Stories (Default): This shows items in order of popularity based on the level of interaction on a post eg. 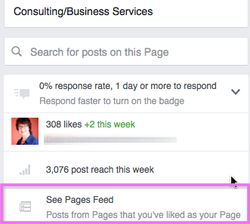 if many of your friends are commenting or liking a post it will appear higher. Note your news feed will eventually return to Top Stories, so you need to check it every now and then. 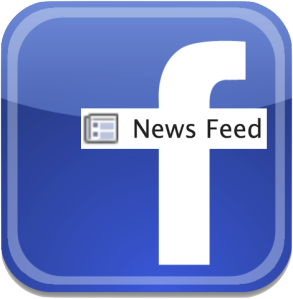 To access your News Feed on your business page (made up of stories from the pages your business likes) click on the View Pages feed on left hand side. While you may not see much of a return these days unless you are paying for advertising, a Facebook Business Page is still a free and easy-to-maintain online presence - clients, potential clients and others can view information on your business, and it counts as a listing in Google. To get the most out of your business Facebook page you want to complete as much information as you can to bring your business to life. Facebook is continually adding in new features too, like the Services Section and the Shop Section so keep an eye out for these. Informative, engaging post content along with images and video posts are a great way to showcase your company and offer the opportunity for communication with your followers. So while Facebook may not be everyone’s cup of tea, it does have its place. For any questions about Facebook, or if you are ready to set up one for your business, get in touch today. Should I delete old blog posts? Having a well resourced website is not a bad thing; in fact, an archive of blog posts shows your experience in your field, and further Google will not penalise you for older blog posts. You may have noticed that a date will appear on the left hand side of blog posts in Google, and on social media platforms each posts has the date it was shared. Someone that is searching the internet for a specific topic will generally take note of this date, register it as old content and that it may not be relevant to their needs. This poses the question, should I delete old blog posts or keep them? While the answer can be a little murky, I would recommend keeping them, they are not doing any harm sitting there, and in fact, can have some benefits. Below I share some thoughts on why you should keep your old blog posts. Every article or blog post you write is adding to your business’s digital footprint and helping your business rank in Google. It is showing off your expertise, building your credibility, and if you were to delete this content, then that is a lot of hard work wasted. 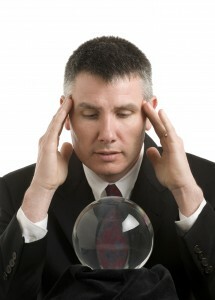 Show you are on the ball by having links from your older blog posts to newer content on the same subject. Set aside time to review old posts and update them or repurpose with any new information or add links to more up-to-date posts on the same subject. If you are coming up with multiple issues in your Webmaster Tools due to incomplete meta descriptions and titles in older blog posts, you can ‘no index’ these. This will hide them from Google so they are not crawled or seen in search results. Or, if you have time, go through old blog posts and add in any missing data to the backend to help with your SEO. You may have a large site with a lot of content and internal links between pages and content. By deleting blog posts you are running the risk of link breakages, and there is nothing worse than coming across a 404 page when something is broken. This can cause the reader to question the validity of your whole site. If another business or individual links to content on your site that is subsequently deleted, it will create a broken link. Inbound links are important as they assist with SEO - the more you have, the more authority Google deems you to have. If someone links to an article in your blog and it is no longer there, then that link becomes useless and can affect your referral traffic. On a final note, are things ever truly deleted from the internet anyway? If you have any questions on how deleting old blog posts may affect your website, get in touch today.